of the 2015 Medway Barge Match. He was on board sb Cambria, so there are some good shots of her deck, rigging, and so on, including a nice one of Skipper Ian at the wheel. We like the music too! 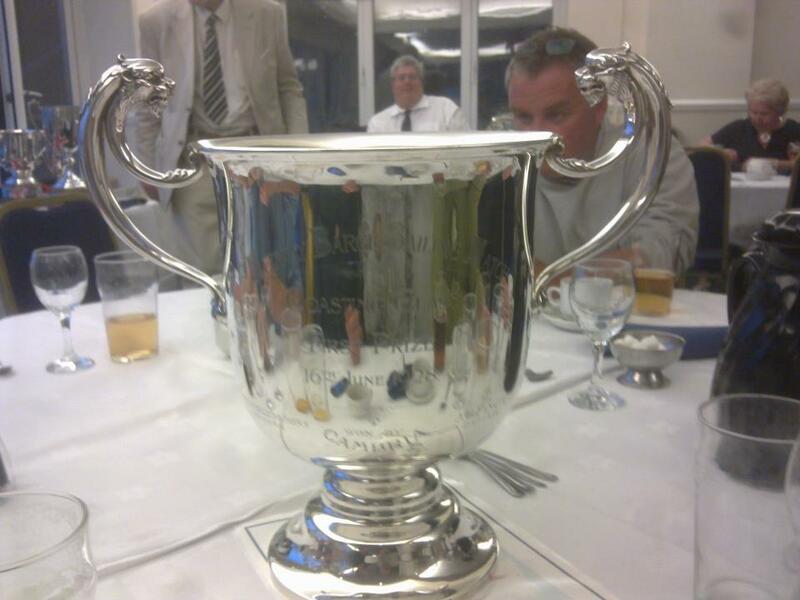 The Cambria Cup won by Cambria in 1928, and won by the restored Cambria today – The Medway Barge Match, First in the Coasting Class.